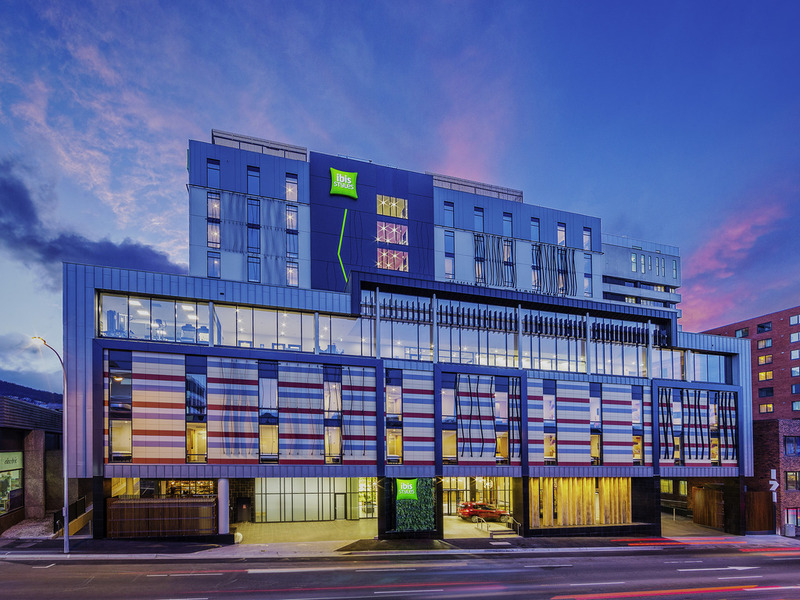 The ibis Styles Hobart hotel is an excellent value focused option, bursting with colour & style. With a central location, the hotel is a short walk from Hobart's famous waterfront and is Tasmania's largest hotel, spanning 296 rooms. Our Hobart accommodation comprises 10 floors, Asian cuisine, bar, heated indoor pool, 2 saunas and a fitness centre. Take a short stroll from our Hobart hotel to Salamanca Markets and beautiful Hobart waterfront, while world famous MONA is a 20 minute drive. Designed to give you everything you need for a comfortable night's stay, take a break in our colourful, stylish and welcoming rooms. Indulge yourself with the best night's sleep in a signature 'Sweet Bed' by Ibis Styles. Never miss a moment and stay connected with free Wi-Fi and enjoy a Samsung TV. All bathrooms have walk-in showers offering a large rain-maker shower head, an adjustable shower head and a well-lit mirror. Perfect for any getaway. The bar serves Asian street snacks with a modern urban twist and features a wide range of alcoholic and non-alcoholic drinks.